We all remember Sledgehammer’s Wikileaks phase which was followed days later by the first official Exo Zombies trailer, the confirmation of Exo Zombies had us feeling all Treyarch-y over the festive season. So, to the build-up to what is Call Of Duty‘s #exozombie crisis, Sledgehammer is keeping up the pressure by releasing a teaser to the upcoming DLC in January. The trailer gives some background as to what has caused this new strain of the zombie epidemic, and whilst you have some lovely upgraded kit that makes you faster and stronger, so does the undead. Have fun surviving and all that. Untrained and unprepared, four Atlas employees must survive a horror unlike any other. 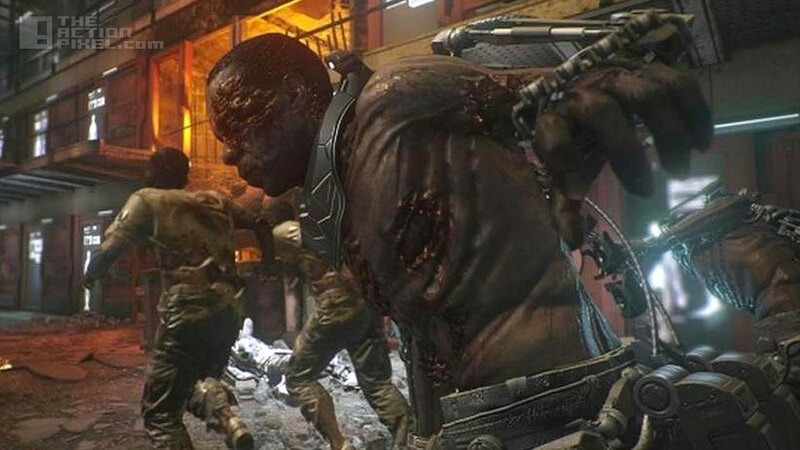 John Malkovich, Bill Paxton, Rose McGowan, and Jon Bernthal star in Exo Zombies, coming to Call of Duty: Advanced Warfare DLC.